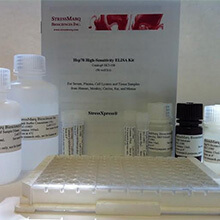 The 60 kDa heat-shock proteins are abundant in prokaryotes and eukaryotes and are required in the folding, translocation, and assembly of native proteins. Eukaryotic species are nuclear encoded but exhibit their function in certain organelles and the cytosol as well as on the cell surface and in the extracellular space 2,3. HSP60s act as molecular chaperones and cooperate with other chaperones to fullfill their specific functions (Hsp10/GroES, Hsp70) 199. Like the other HSP families, HSP60s are characterized by their ability to identify proteins with abnormally exposed hydrophobic residues and to form stable inactive aggregates after association 8, 200, 201. HSP60s show an intrinsic ATPase activity implying an ATP-driven increase in the free energy of misfolded or aggregated substrate molecules 202. Hsp60 (HspD1) is an intramitochondrial molecule known to chaperone nascent polypeptides for their transport from the cytoplasm to the mitochondrial matrix in conjunction with Hsp10 (Cpn10) that also resides in the mitochondria 165. In addition to its classical chaperone function, mitochondrial Hsp60 is critically involved in the replication 203 and transmission 204 of mitochondrial DNA. In the latter case, mutations in Hsp60 have been found to upregulate mtDNA levels and to cause transmission defects 204. Crosslinking and DNA gel shift experiments showed that Hsp60 binds to single-stranded DNA with high specificity for the template strand of a putative origin of mtDNA replication 203. Already in the late 1980s, Goloubinoff and colleagues performed the first in vitro chaperone assay demonstrating that the E. coli Hsp60 homolog GroEL prevented the aggregation of experimentally denatured ribulose bisphosphate carboxylase/oxygenase (RuBisCO) oligomers 23. Notwithstanding this issue, GroEL was also found in this study to arrest (“hold”) inactive RuBisCO in an inactice state and to release the natively refolded RuBisCO enzymes after addition of ATP and its co-chaperone GroES. 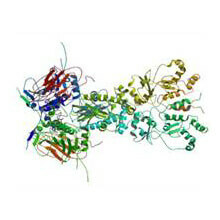 This “holdase” activity is characteristic for HSP60s and many other chaperone families as they have the capacity to effeciently prevent protein aggregation in the absence of ATP 79. Recent investigations revealed an “unfoldase” activity of Hsp60 meaning that HSP60s have the capacity to recognize stable misfolded or aggregated proteins and to unfold them efficiently in such a way as to enable them to refold spontaneously to natively refoldable molecules 205. As demonstrated for GroEL and the eukaryotic CCT chaperonins, the energy obtained from ATP hydrolysis is utilized to catalyze the unfolding of the nonnative proteins 201. This ATP-mediated process has been shown previously to depend strictly on the presence of the co-chaperonin GroES/Hsp10 206. It is interesting to note that an ATP-independent unfoldase activity of HSP60s has recently been described for GroEL and TRiC. Priya and collaborators found out that apo-GroEL and apo-TRiC act as efficient unfoldases that rapidly convert misfolded proteins into unfolded intermediates that are released from the chaperonin in order to reach the native state outside the folding chamber 207. As over-sticky intermediates have been identified to occasionally stall the catalytic unfoldase sites, GroES mobile loops and ATP are obviously required to dissociate the inhibitory species and regenerate the unfoldase activity 207. As discussed by Mattoo and Goloubinoff, catalytic unfoldases including HSP60s have the capacity to switch into “holding” chaperones 208. In this context, several investigations revealed a spontaneous heat-induced aggregation of thermolabile proteins such as firefly luciferase and malate dehydrogenase thereby inhibiting the putative formation of deleterious protein aggregates 209,210,211. Evidence has emerged that thermotolerance of prokaryotic organisms is attributed, amongst others, to the catalytic function of HSP60s. In cyanobacterial species, thermotolerance of both, unicellular and filamentous, is enhanced upon pre-treatment at sublethal temperatures, suggesting a critical involvement of heat-shock genes/proteins in thermotolerance 212. In the filamentous nitrogen-fixing cyanobacterium Anabeana, thermotolerance is obviously affected by the differential expression of the two Hsp60 proteins in an N-status-dependent manner. As demonstrated by Rajaram and Apte, exposure to heat stress has a bacteriostatic effect on Anabaena which exhibits growth arrest at 42 °C, most likely due to diminished photosynthetic and nitrogenase activities under nitrogen-fixing conditions 213 and blockage of photosynthetic and nitrate reductase activities under N-replete conditions 214. 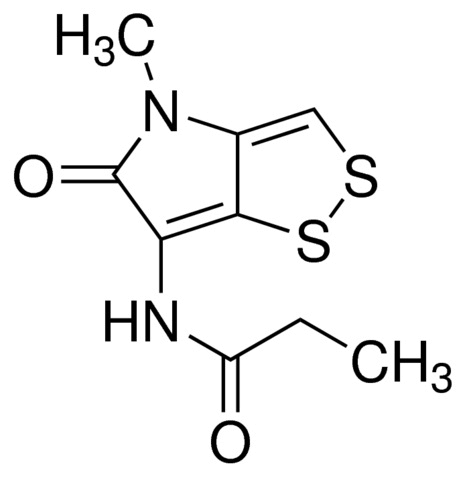 Unlike the transient synthesis of HSPs in other bacteria, Anabeana exhibits remarkable recovery from heat stress, possibly due to the continuous heat-induced synthesis of the two Hsp60 proteins and their high stability even after return to normal growth conditions 213. In addition to their role in protein folding, HSP60s are implicated in intracellular protein trafficking 215, 216 and peptide-hormone signalling 217. As demonstrated by Kunisawa and Shastri, the group II chaperonin TRiC binds proteolytic intermediates and protects them from degradation in the MHC I antigen processing pathway 218. Moreover, cytosolic as well as mitochondrial isoforms of Hsp60 play crucial roles in pro-apoptotic and pro-survival pathways 174. Hsp60 levels gradually increase or decrease during carcinogenesis in various organs and thus might serve as a prognostic or diagnostic marker in certain cancers 9. In this regard, Hsp60 overexpression in tumor cells enhances cell growth, suppresses senescence, confers resistance to stress-induced apoptosis and mediates neoplastic transformation 219, 220. In contrast, Hsp60 exerts pro-apoptotic properties by cleaving and activating pro-caspase 3 45, 221. Based on these contradictory findings Hsp60 can be considered as a molecular “Proteus” for carcinogenesis 9, 222. A first hint of the molecular mechanisms responsible for the ambivalent nature of Hsp60 is given by Chandra and colleagues who could demonstrate a pro-apoptotic role of Hsp60 after its release from mitochondria and accumulation in the cytosol culminating in the activation of pro-caspase 3 174. Notwithstanding this issue, Hsp60 has been found in the same study to exert anti-apoptotic functions in the cytosol without a previous release from mitochondria by inhibiting pro-caspase 3. The group of Francesco Cappello provided further insight into the anti-apoptotic role of Hsp60 in tumor cells by demonstrating the existence of an Hsp60/pro-caspase 3 complex before and after oxidative stress which blocks maturation and activation of pro-caspase 3 223. Apart from their intracellular location, HSP60s also appear on the cell surface of normal 224 and malignant cells 176, 177, 225. While intracellular HSP60s play a key role in proteomic homeostasis, membrane-bound and extracellular HSP60s have been shown to act as potent stimulators of immune responses 4, 5. When released into the extracellular milieu, Hsp60 increases levels of CD4+CD25+Foxp3 cells and suppresses cytotoxic T lymphocytes (CTLs) 226, 227. Increased cell surface expression of Hsp60 serves as a danger signal for the immune system culminating in the stimulation of dendritc cells (DCs) and, ultimately the induction of T cell-mediated anti-tumor immune responses 4, 5, 176, 177. 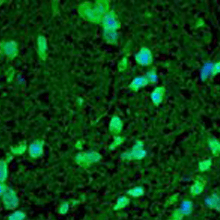 Extracellular Hsp60 has been reported to bind to several cell surface receptors including CD14, CD40 and Toll-like receptors (TLRs) such as TLR-2 and TLR-4 5, 228, 229, 230. While TLR-4 229,231,232,233 is known to mediate LPS signalling in association with its glycosyl-phosphatidylinositol-anchored co-receptor CD14 234, TLR-2 acts as the receptor for bacterial lipoproteins and lipoteichoic acid 235, 236. A wealth of evidence demonstrates that extracellular HSP60s can stimulate cellular cytokine synthesis with the generation of pro- and/or anti-inflammatory cytokine networks. In this respect, HSP60s have been reported to stimulate antigen-dependent T cell activation and production of pro-inflammatory IFN-γ 237, 238, and T cell adhesion to fibronectin via TLR-2 239. Further Hsp60-induced pro-inflammatory mediators comprise TNF, nitric oxide (NO) as well as IL-1, IL-6, IL-12 and IL-15 promoting Th1 type responses 228, 240, 241. Despite its effect on DC maturation, Hsp60 also upregulates the expression of co-stimulatory molecules such as CD86, CD54 and CD40 242, 243. The anti-inflammatory properties of Hsp60 become manifest in its capacity to function as a ligand for gamma-delta T lymphocytes on oral tumor cells thereby enabling tumor cells to evade immune recognition by these cells 244,245,246. Upon stimulation with Hsp60, downregulation of Fas and upregulation of NO expression occurred in gamma-deltaT lymphocytes isolated from oral cancer patients followed by activation of caspase-9 and loss of mitochondrial membrane potential culminating in T cell death. Anti-inflammatory functions of Hsp60 are noted especially in chronic inflammatory diseases such as diabetes, multiple sclerosis, rheumatoid arthritis (RA), and cardiovascular diseases leading to remission of the inflammatory process 5, 247. In RA patients, a reciprocal correlation of disease severity and formation of anti-inflammatory IL-4 and IL-10 in T cells stimulated with human Hsp60 could be observed 248. These findings have been confirmed in animal studies demonstrating a downregulation of inflammation by an Hsp60-induced T cell response which includes the production of regulatory Th2 cytokines (IL-4 and IL-10) by CD4+ Th2 lymphocytes (for a review see van Eden et al. 2005 248). Notwithstanding this issue T cells from synovial fluid of RA patients produce the Th2 cytokines IL-4 and IL-10 after exposure to human Hsp60 whilst mycobacterial Hsp60 (GroEL) was found to elicit a Th1-mediated immune response by producing pro-inflammatory IFN-γ 249. Consistent with this notion, T cell lines prepared from RA patients in response to human Hsp60 suppressed TNF production but mycobacterial GroEL did not 249. Pockley et al. give a detailed overview of the complex immunomodulatory functions of endogenous and exogenous HSP family members 5. Like many HSP families, HSP60s can act as stimulators of the adaptive immune response through their ability to bind antigenic peptides during intracellular antigen processing 250. After their release from tumor cells into the extracellular compartment, HSP/peptide complexes bind to surface receptors on antigen presenting cells (APCs) followed by antigen presentation via MHC class I molecules on the cell surface through a process known as antigen cross-presentation 251, 252. 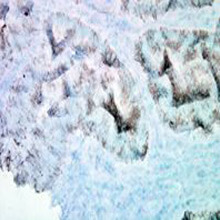 HSPs carrying tumor antigen can also bind and activate a second receptor inducing an innate immune response facilitating APC maturation, pro-inflammatory cytokine release and expression of co-stimulatory molecules such as CD80 and CD86 interacting with their corresponding receptor, CD28 on T cells 5. HSP/peptide complexes from normal cells are also internalized via non-specific or receptor-mediated endocytosis followed by lysosomal degradation and subsequent presentation to CD4+ T cells through MHC class II molecules with or without the presence of co-stimulatory molecules. As a consequence, a T cell-mediated immune response occurs accompanied by the release of immunosuppressive Th2 cytokines. HSPs from pathogens harbor non-self epitopes that are presented to pro-inflammatory CD4+ Th1 cells by APCs culminating in the release of pro-inflammatory cytokines such as IFN-γ and the induction of an inflammatory T cell response. Like HSP-chaperoned tumor antigens, APC maturation via a second receptor precedes antigen presentation. It is interesting to note that induction of innate immune responses is able to upregulate Hsp60 expression and secretion that in turn induces conversion of naïve T cells into CD4+CD25+Foxp3+ T cells 253, 254.